A bimonthly Welsh language non-denominational religious periodical intended for Welsh-America. 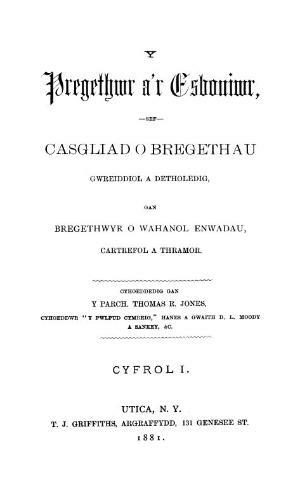 The periodical's main contents were sermons by prominent Welsh and Welsh-American preachers. The periodical was edited by Thomas R. Jones.